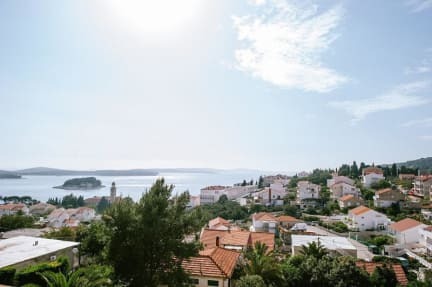 Defined by surfer attitude, The Shaka hostel redesigns the traditional tourist experience, allowing you to discover local Hvar, connect and enjoy – only 10 minutes’ walk away from city center and nearby beaches. With its laid back spaces overlooking the sea, vibrant reception, unique amenities and friendly staff, The Shaka will pamper you with a thoughtful, spirited and fun guest experience. All dorms and suites come with a balcony or terrace featuring a perfect sea view, private bathroom, bedding & clean linen, towels, safety individual lockers with keys, private reading lights, free AC and free WiFi. The centerpiece of the hostel is a cozy lounge terrace overlooking Pakleni islands– a spot to grab some sun, lounge all day with a book or connect with others online or offline. If you would like to make yourself farm2table brunch, farmers market and grocery stores are just 5 minutes’ walk away so feel free to use one of 2 large self-catering kitchens. In the evening meet&greet others at organized hangouts at the terrace following Hvar bar surfing with one of experienced party managers. The Shaka guests have discounts available in best local bars and restaurants, as well as all the local tips to experience the best of Hvar- day trip to island of Vis visiting caves, renting a scooter or boat for a day, cliff jumping or diving. 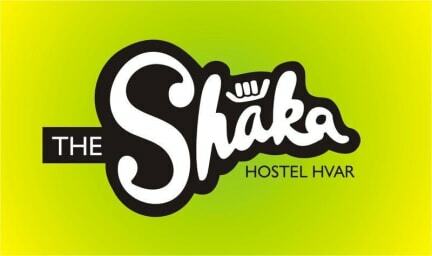 That is what makes The Shaka hostel your own Hvar home with a 24/7 local friends that will make sure you don't miss a second of your best summer ever! Check in from 14:00 to 23:00. The times can be flexible. This is the best hostel we've been to during our interrail trip. We came to Hvar to chill out and luckily the hostel met all our expectations. The staff was really nice and helpful and overall the other visitors were all relaxed and open which made us feel very welcome. We only stayed for two nights but wanted to stay much longer! We recommend this place to anyone looking for good beds, a pretty view and people to hang with! This hostel had one of the best showers during my interrail trip. Finally I encountered a shower without a timer. Furthermore, facilities were basic but fine. Kitchen is ok. The distance to the city is like a 10 minute walk downhill, so prepare for a hike to get back. The people working their were great. The owner is also a nice guy, but he is not always around. His cousin and uncle also stay in the hostel. They are awful. So unfriendly, even shouted at us. Worst experience in my trip.